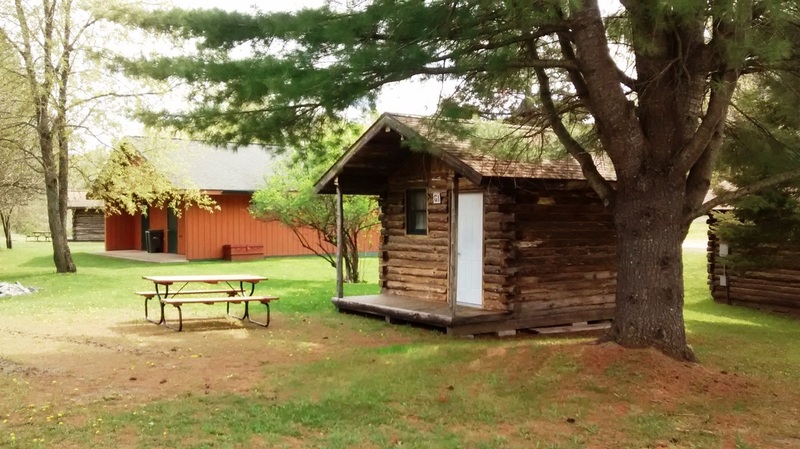 There are 5 log cabins with Italian names describing the occupations of early settlers. They are: Pescatore (fisherman), Giardinare (gardener), Minera (miner), Boscolo, (woodsman), and Marinalo (sailor). 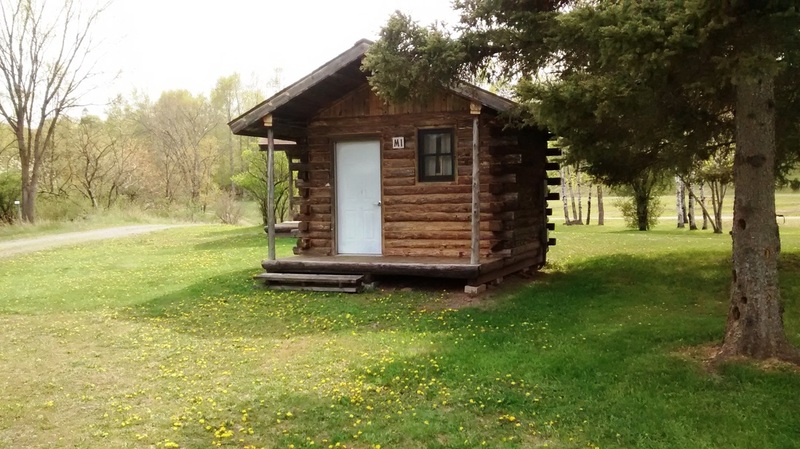 The cabin are located close to the service building. If you plan to arrive after 6:00 PM please call ahead so we can leave a light on for you. Cabin occupancy rates are $38 plus 6% MI use tax per family. Non-family occupants are $2 extra. After 9/15 the rate increases $2. Crated and leashed pets only. 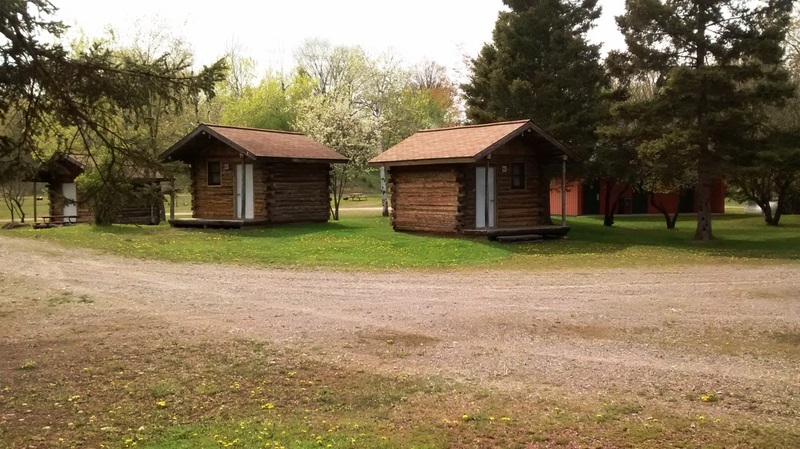 Cabins feature full size mattresses, a double bed and two bunks. There is an overhead light and two receptacles. 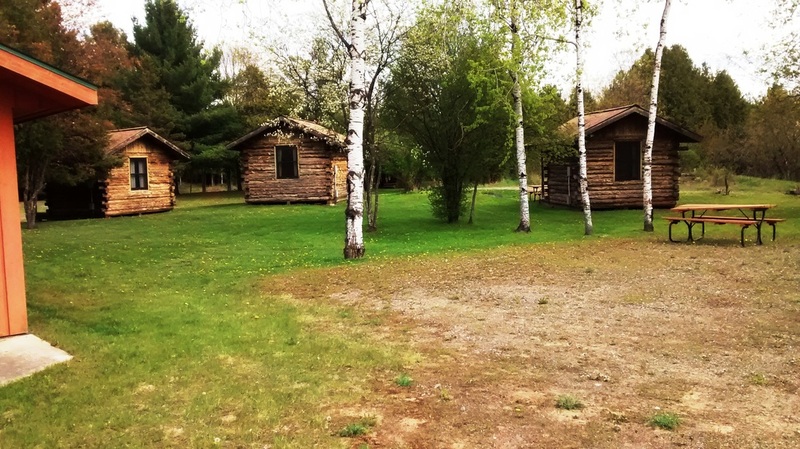 The cabins have no linens or cooking facilities. Thermopane windows with screens and insulated steel doors keep the cabins insect free, cool when the tempeatures get warm, and electric heaters keep the chill out on cool evenings.